When I first considered learning tech skills, I made a lot of excuses. In hindsight all I really did was waste a huge chunk of time that I could have been using to learn and get ahead. And in the process I learned a slightly painful and unnecessarily delayed lesson: if you really want something, there is no such thing as being too busy. 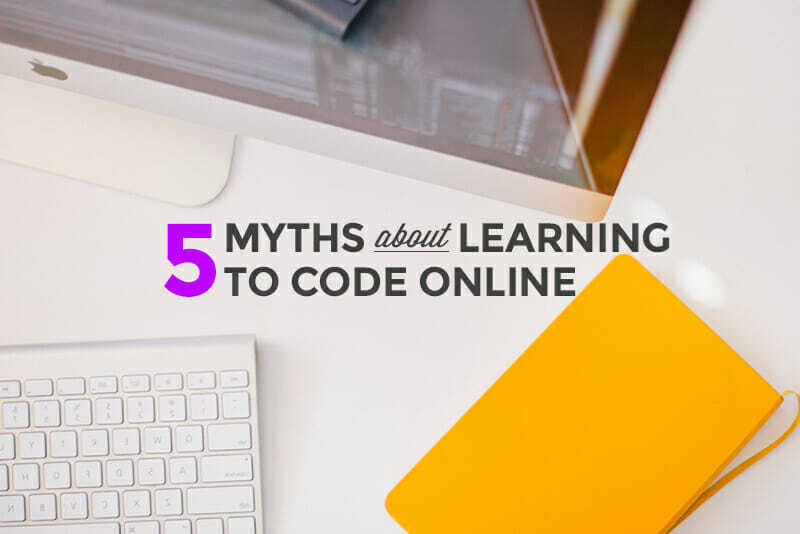 So, today I’m going to save you all of the heartache, the frustration – and the excuses – and bust the 5 biggest myths you’ve been telling yourself about learning to code online. I need to be a genius, right? Rest assured, you don’t have to be a genius, a math whiz, or touted as the next big prodigy in Silicon Valley— anyone can learn to code! There is no magic dust to sprinkle or special criteria you have to meet. 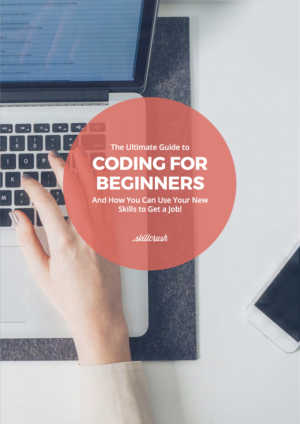 Simply put, if you’re open to learning and willing to put your newly acquired skills into practice, you can learn to code. And the more you learn the easier it’ll be to discover what about tech you really enjoy…and then focus your learning around that! You’re a savvy shopper and you know how to do your homework. Any quick Google search can return results for online coding classes or bootcamps that range anywhere from absolutely free to several thousand dollars (stifling school loans, anyone?). But here’s the truth. You actually don’t need a fancy Computer Science degree to be successful in tech. 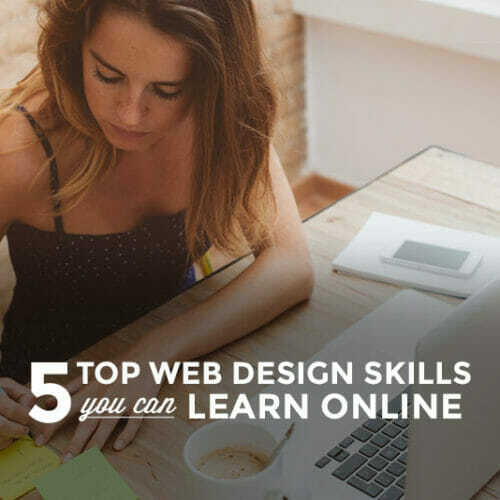 You can start building your tech skills right from home, without even having to change out of your favorite pair of comfy sweats. 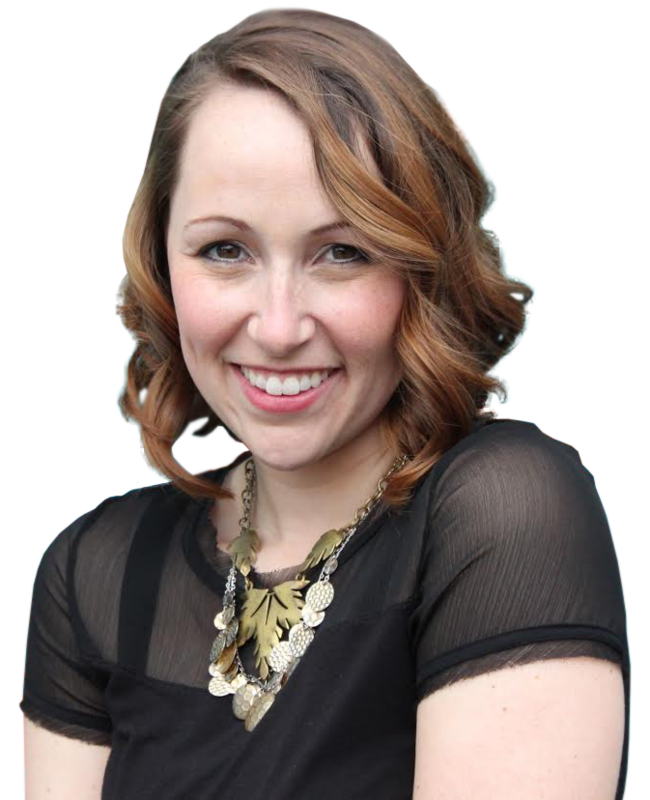 There are blog articles, Youtube tutorials, and online courses—like a Skillcrush Career Blueprint!—that can put you on the fast track to a successful career in tech, without breaking the bank. I don’t want a paycheck in 5 years! I want it in 2 weeks! Would you be willing to dedicate an hour a day to evoking positive change in your life? If you answered “yes,” then you can start learning—and changing your life—today. Just one hour. That’s all it takes to get started. The old adage, “you must learn to walk before you can run,” comes into play here. But you might be surprised how quickly you can learn to “run” in tech. 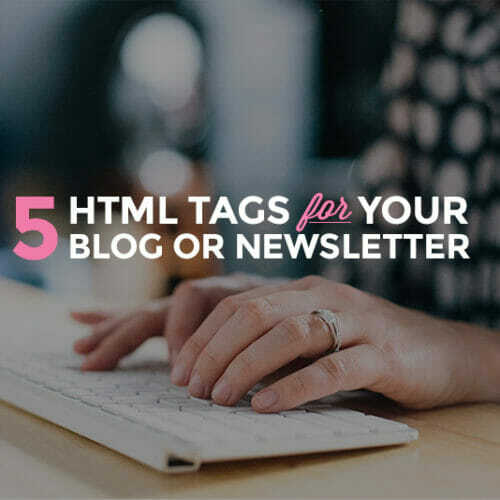 By learning HTML & CSS basics you can start building and styling websites and web applications from scratch, you can enhance your search engine visibility of your blog, you can design a beautiful, custom website template…and impress your boss. And what you might come to realize is that when you enjoy the topics you’re learning about, the time seems to fly by. I’m a multi-passionate creative, am I going to fit in? There are plenty of ways to succeed in tech, and you don’t have to be a master programmer, sit behind a computer all day, or fit any other typical tech stereotype out there. No matter which side of the brain you identify with, adding tech skills to your repertoire can open doors to limitless possibilities. You’ll no longer be limited to traditional job roles. With tech skills, you can mix your passions along with your skills to find work that truly resonates with you. So false! You’re never too old (or too young) to learn to code. Thankfully, having a desire to succeed isn’t limited by age. Again, if you are passionate about learning and ready to put those skills into practice, you can achieve anything you set your mind to. Period. As you’ve hopefully come to realize, your thoughts about learning to code mean so much more than you originally told yourself. You’re not just learning to code, you’re acquiring the tools you need to change your life. So take action, toss the excuses, and get to learning. 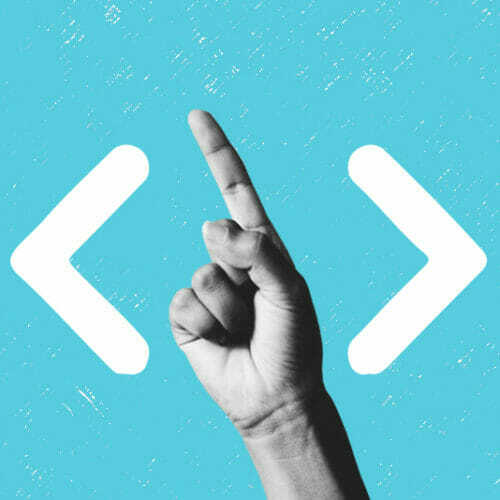 In fact, consider joining us in a Skillcrush Blueprint where you can learn to master code, build up your digital portfolio, and so much more!